Principal casting has been amended for four performances of Christopher Wheeldon's ballet. For the matinee performance on 30 September and on 28 October, Tristan Dyer will replace Marcelino Sambé in the role of Jack/the Knave of Hearts. I hope Marcelino isn't injured!!! Such a shame! Was really looking forward to see him on the 30th! O no! I hope Marcelino's injury isn't too serious. I've been watching his career through snippets from here and on YouTube and would dearly love to see him work in person. He's one of those performers who communicates his joy in dancing so beautifully and humbly yet with such power and exuberance. I can't compliment him enough! Get well soon, Mr Sambé! Why is Yuhui Choe not cast? She is doing the schools performance after all, and is quite delightful in the role. If you go to the castings in "What's On? ", you will find Yuhui is in the role of Alice again on Sat. 30th September. Patricia - Yuhui Choe is cast for the evening performance on 30th September. I'm really looking forward to it! Get well soon, Sarah and Marcelino! Whatever happened to Sarah? she's been out since April. A big role for O'Sullivan. Good luck!!! You're a beautiful dancer. 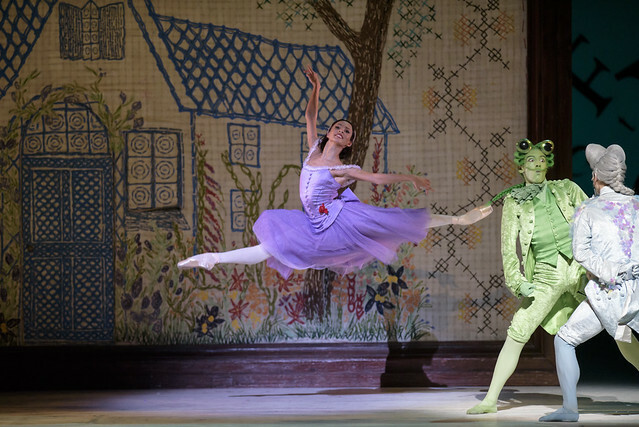 I saw this wonderful ballet at my local cinema in Warrington last Tuesday.It took my breathe away I enjoyed it so very much just wish ROH presenters would encourage people in cinemas to clap also!